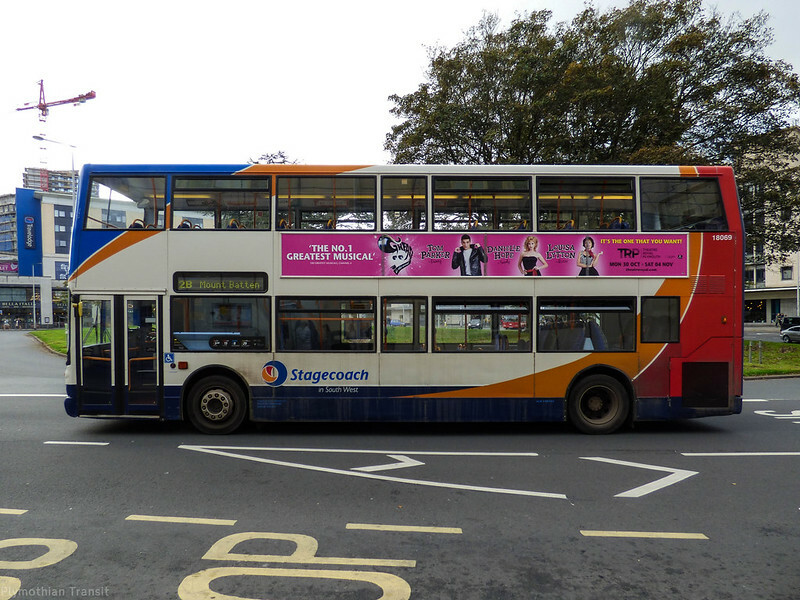 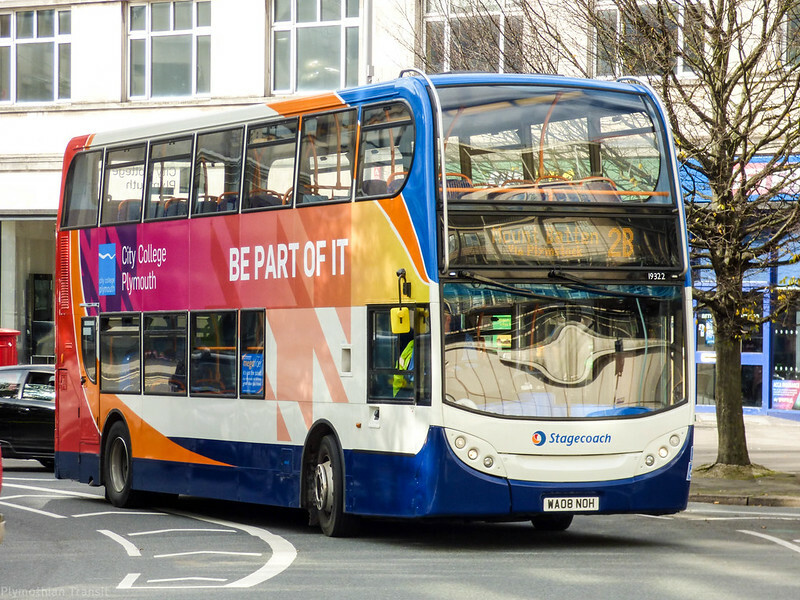 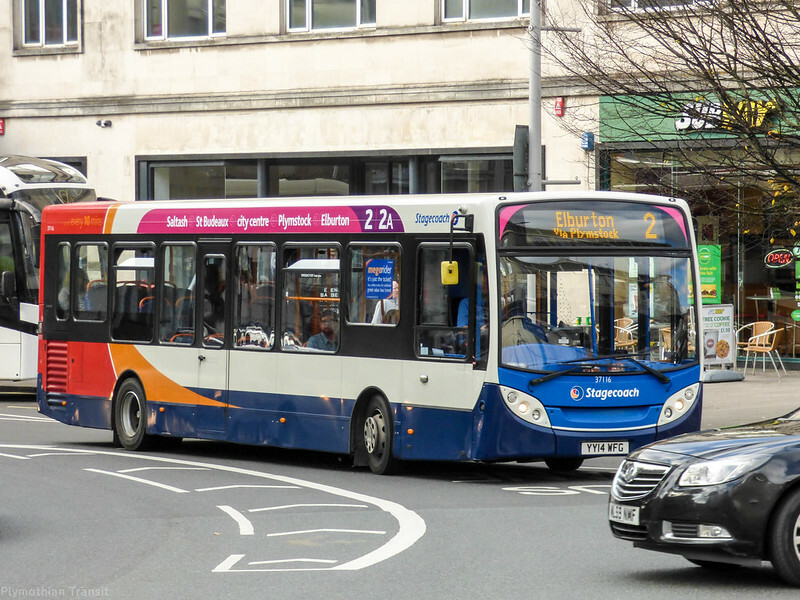 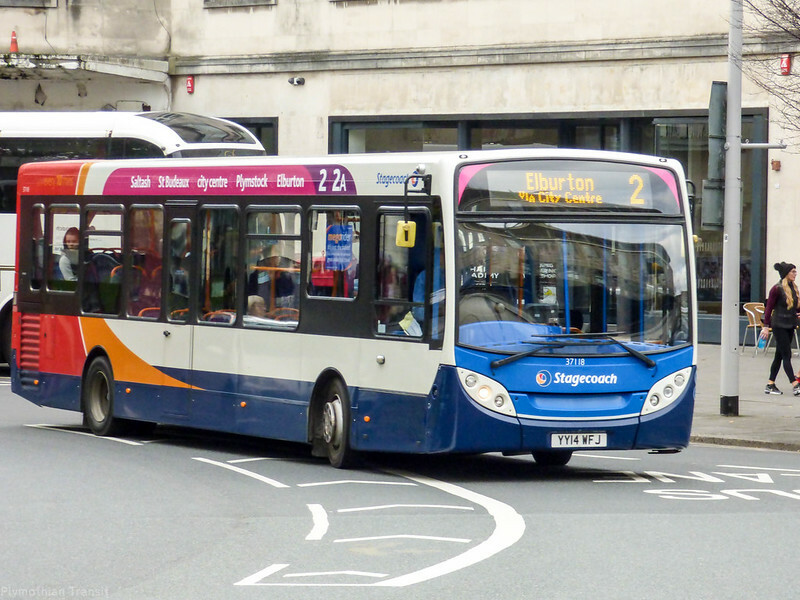 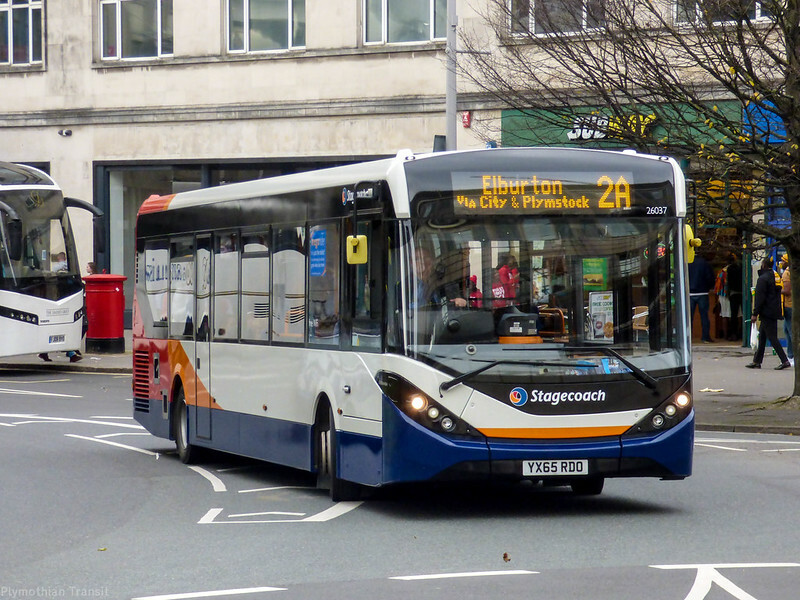 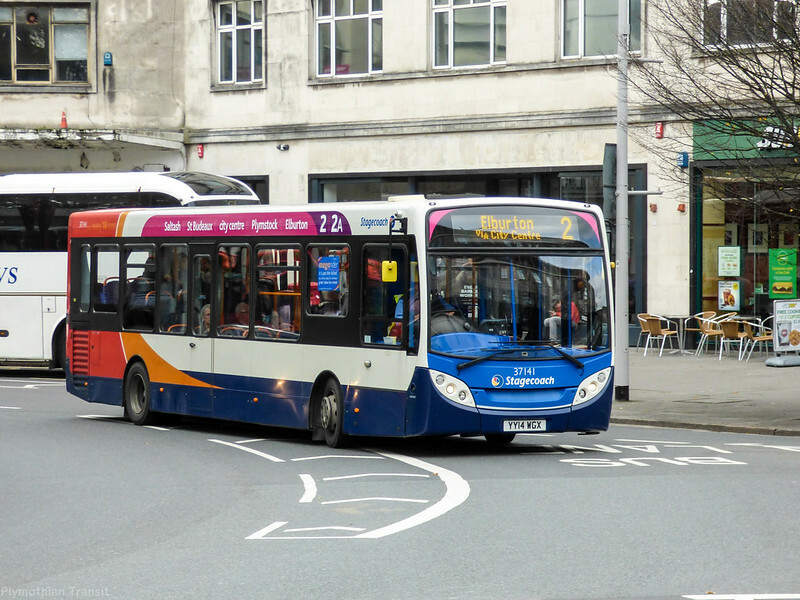 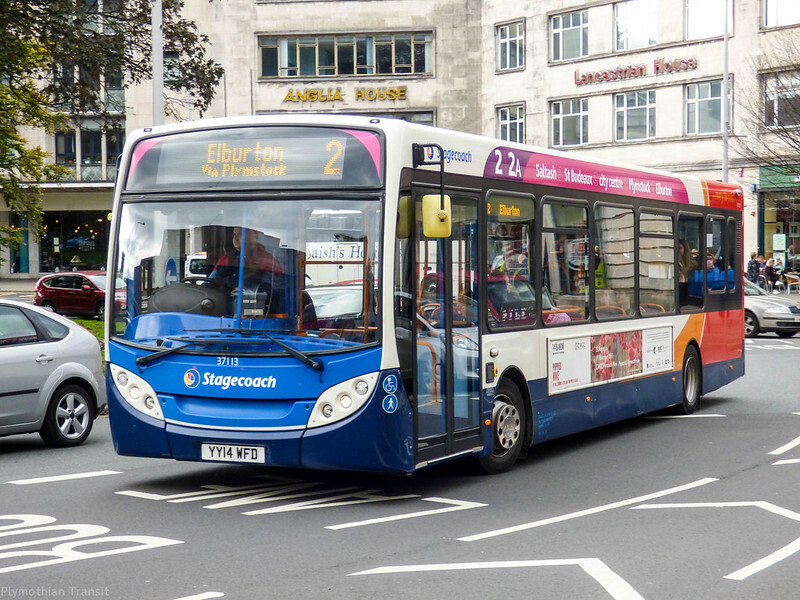 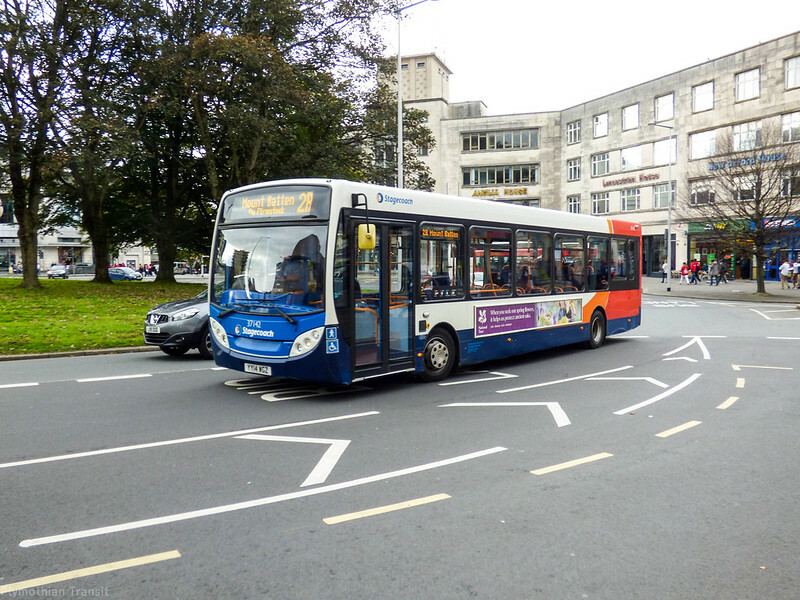 An afternoon in town on Friday last week allowed me the opportunity to catch up with some of the changes in the Stagecoach fleet as it has rolled out some new route branding on its few Plymouth routes. 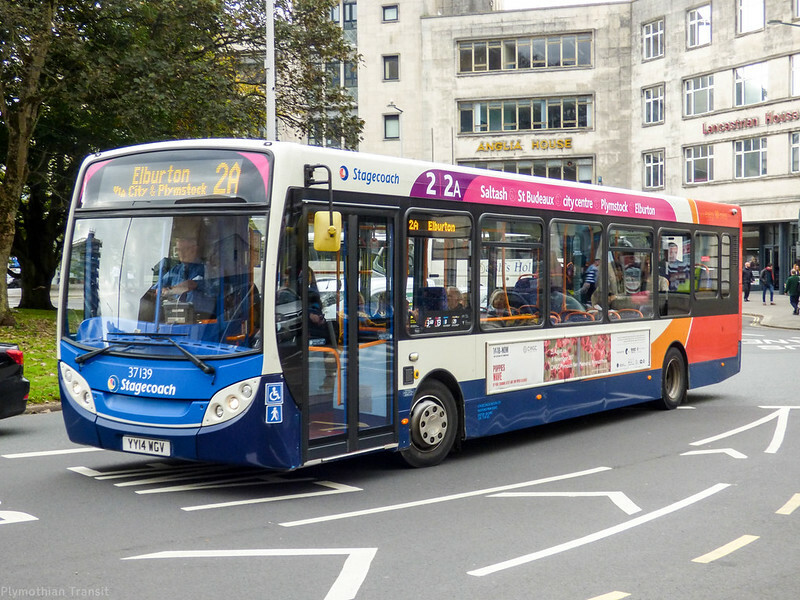 The most variety can be found on the 2 2A 2B services which has received a pink branding on several of the Enviro 200 buses normally used on these routes. 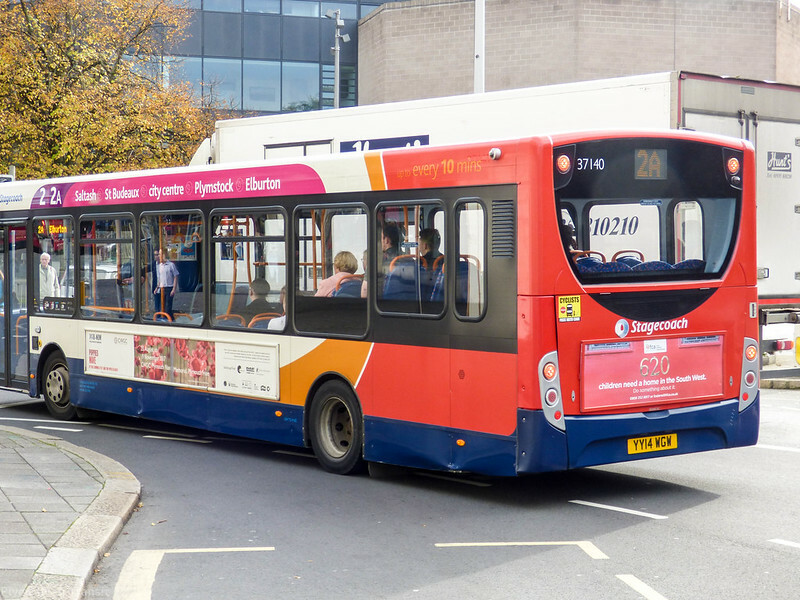 All the below were caught on camera on the same day. 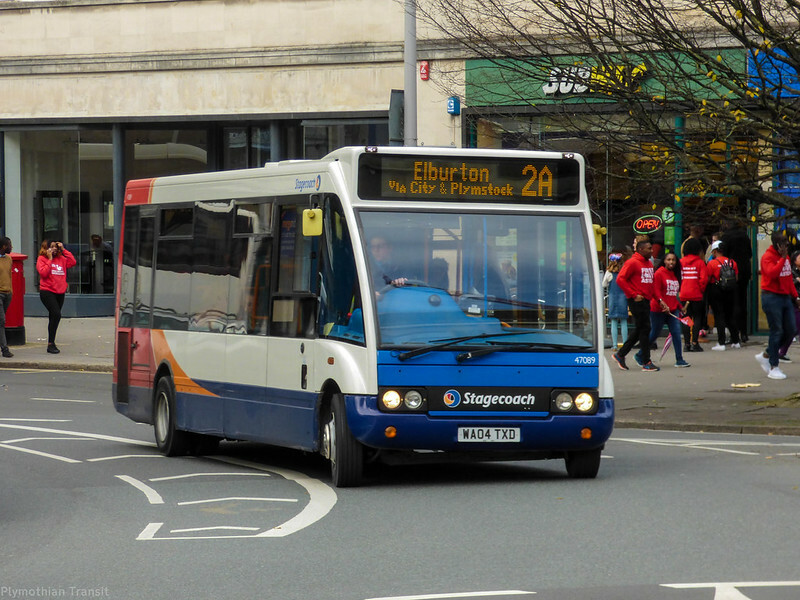 The City College Enviro 400 was able to run on the 2s as the college is on half term break.